Counsilman-Hunsaker, in association with Jeffrey A. Grusenmeyer & Associates, was retained by the City of Fairview Park to design the new $22 million Gemini Recreation and Community Center, which is affiliated with the Fairview Park City School District. The new 87,600 sq. ft. recreation center is built adjacent to the high school. 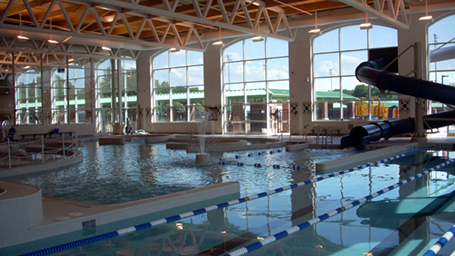 The facility features community/banquet rooms, concessions, lounge, gymnasium, aerobics rooms, natatorium (competitive and leisure pools), locker rooms, rehabilitation rooms, game room, track, and fitness area.